In December 2012, I recorded a series of Child Care Business Success Webinars to inspire you to have a Successful 2013! As I prepare for my upcoming Live Child Care Business Teleseminar, I have been inspired to give you access to my previously recorded Webinar titled: Tips For Expansion from 2012. The membership club that is mentioned in the Webinar is now found in the Child Care Business Owner Online Institute. If you are interested in attending my Live (2-hour) Child Care Business Expansion Teleseminar on Sat. August 23, 2014 and Group Coaching session at 10am cst–> click here for more information. Hope to see you at the Teleseminar! If you get a call from at least one parent every day who’s interested in enrolling their child at your child care facility, it may be time to expand your efforts. Expanding may mean that you’ll need to move to a different facility that’s larger, and it may mean that you’ll need to hire new staff members. Calculate how much it will cost to move to a new place of business and how much it will cost to hire new staff members. Then calculate how much of a profit you’ll be able to make from each new enrollment. Sometimes expanding may seem like a good idea, but it isn’t always necessarily. You can end up actually losing money if you expand too soon and don’t have the right number of kids enrolled as you expand. If you feel as though growing your business is the best idea for your particular situation, you may need to consider raising your prices. This, unfortunately, could mean that you may lose the business of some parents, and you might not attract as much business. Consider your clientele’s needs and financial limitations before you raise prices in order to expand. As you can probably tell, there is some risk associated with growth. However, whenever there’s risk involved in business there’s also the opportunity for significant profit. You may need to step up your game in terms of marketing efforts if you do decide to grow. Additionally, you’ll likely have to spend some time recruiting new employees, which can be fairly time-consuming. If you already have a fairly well-established child care facility, the work associated with growth probably won’t be unmanageable. In these tough economic times, the number of stay-at-home and work-at-home parents is on the rise, which means that interest in child care outside of the home is on the decline. However, there will always be a need for child care businesses. 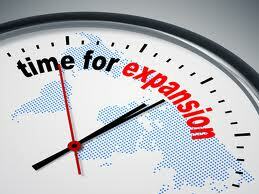 If you think there’s enough interest from parents, expanding could be one of the advantageous things for you. Ultimately, your particular situation will determine what’s best. Just remember not to make any rash decisions, trust your gut, and make sure you calculate the costs associated with expanding versus how much profit you’ll be able to make as a result of your business’s growth. About Guest Author: Carolyn is a guest blogger about small business marketing who helps people get the right order management software that will work with Shopify, 3dcart, and BigCommerce.